All the reactions that occur in living organisms require high activation energy to take place. To reduce the cell’s consumption of energy, there is a catalyst to ensure that the chemical reaction occurs rapidly and reduce the activation energy. This catalyst is the enzymes. 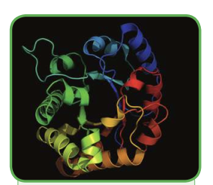 Enzymes are biological catalysts made up of large protein molecules. They speed up the chemical reactions inside the cell. Enzymes are made up of a combination of amino acids forming a chain of polypeptides between each other. There are several factors that affect the speed of enzyme action, such as the concentration of the enzyme, the concentration of the substrate, temperature, hydrogen ion concentration (pH), and the presence of inhibitors. The protein nature of the enzymes makes them extremely sensitive to thermal changes. Enzyme activity occurs within a narrow range of temperatures compared to ordinary chemical reactions. Each enzyme has a certain temperature at which it is more active. This point is called the optimal temperature, which ranges between 37 to 40C°. 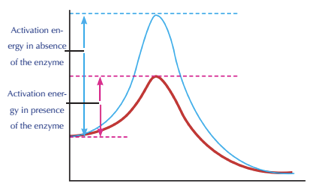 On the other hand, if the temperature lowers below the optimal temperature, the enzyme activity lowers until the enzyme reaches a minimum temperature at which the enzyme activity is the least. 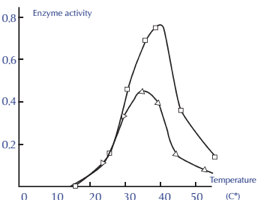 The enzyme activity stops completely at 0C°, but if the temperature rises again, the enzyme gets reactivated once more. Enzyme activity is also controlled by pH. As the pH is decreased or increased, the nature of the various acid and amine groups on the side chains is altered, with resulting changes in the overall shape and structure of the enzyme. Each enzyme has a pH value that helps it to work at maximum efficiency, called the optimal pH. If the pH is lower or higher than its optimal pH, the enzyme activity decreases until it stops working. 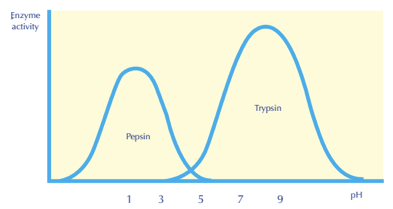 For example, pepsin works at low pH, i.e, it is highly acidic, while trypsin works at high pH, i.e, it is basic. Most enzymes work at neutral pH 7.4. 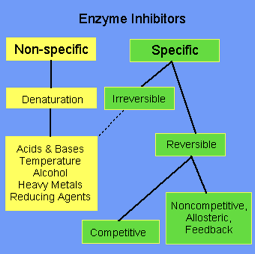 Enzyme inhibitors are molecules that interact in some way with the enzyme to prevent it from working in the normal manner. There are many types of inhibitors, including nonspecific, irreversible, reversible, competitive and noncompetitive. Poisons and drugs are examples of enzyme inhibitors. A competitive inhibitor is any compound which closely resembles the chemical structure and molecular geometry of the substrate. The inhibitor competes for the same active site as the substrate molecule. The inhibitor may interact with the enzyme at the active site, but no reaction takes place. The inhibitor is ‘stuck’ on the enzyme and prevents any substrate molecules from reacting with the enzyme. 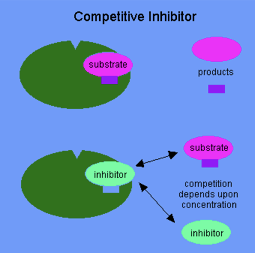 However, a competitive inhibition is usually reversible if sufficient substrate molecules are available to ultimately displace the inhibitor. Therefore, the amount of enzyme inhibition depends upon the inhibitor concentration, substrate concentration, and the relative affinities of the inhibitor and substrate for the active site. 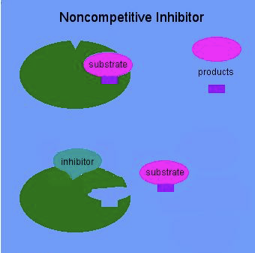 A noncompetitive inhibitor is a substance that interacts with the enzyme, but usually not at the active site. The noncompetitive inhibitor reacts either remotely from or very close to the active site. The net effect of a noncompetitive inhibitor is to change the shape of the enzyme and thus the active site so that the substrate can no longer interact with the enzyme to give a reaction. Noncompetitive inhibitors are usually reversible but are not influenced by concentrations of the substrate as is the case for a reversible competitive inhibitor. Irreversible inhibitors form strong covalent bonds with an enzyme. These inhibitors may act at, near, or remotely from the active site. Consequently, they may not be displaced by the addition of excess substrate. In any case, the basic structure of the enzyme is modified to the degree that it ceases to work. Since many enzymes contain sulfhydryl (-SH), alcohol, or acid groups as part of their active sites, any chemical which can react with them acts as an irreversible inhibitor. Heavy metals such as Ag+, Hg2+ and Pb2+ have strong affinities for -SH groups.